When Lisa came across the saying, “What can a man give in exchange for his soul?” she liked it so much she had it tattooed on her leg. She didn’t really understand the full meaning of the saying, but something about it connected with her. Later, when life seemed to have bottomed out, Lisa’s mother gave her a pretty wall hanging that read, “Faith is the substance of things hoped for…” The hanging travelled with her from home to home as she endured very difficult times and was a comfort to her, though she didn’t know where the little bit of poetry came from. 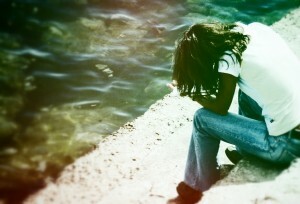 More recently, Lisa has come to place her faith in what Christ did for her on the cross. Through reading the book The Stranger on the Road to Emmaus with a friend, she has developed strong foundations in God’s Word. She’s continued to build on those foundations as she and her friend study The Captive and the King’s Will, a sequel which teaches the “next steps” after a person has understood and believed the content explained in GoodSeed’s evangelism books. When Lisa and her friend came across Hebrews 11:1 in The Captive, Lisa ran to her room and grabbed the wall-hanging off her wall. She was so excited to not only realize that the precious saying was from the Bible, but now she understood its context and fuller meaning for her. Later in the book, the women were studying Matthew 16:24-27 and read the phrase Lisa had tattooed on her leg. Words that had struck a chord earlier now took on new depths of meaning for Lisa. She was completely amazed! Her friend pointed out that now she could use that tattoo as a great lead-in when talking with others about the Bible’s good news. Even seeing John 3:16 written on the cheek of a football player on TV thrilled Lisa, causing her to find the now-precious verse in her Bible, just for the joy of seeing it there in print. Last month we marked a major milestone–our new book was sent to the printers! 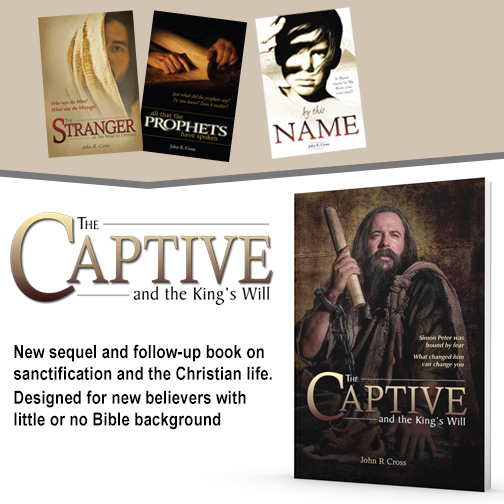 The Captive and the King’s Will is a follow-up book to our evangelism books. For years, people have been reading these books and asking “What’s next?” We trust this book will answer many of those questions. While our other books are dedicated to salvation – explaining the Gospel and justification – this new book focuses on sanctification and the Christian life. The above was part of a letter received from a woman in Ohio. Her letter reflects a question we have received often over the years. This book is geared toward those who have read one of our main evangelistic books (The Stranger on the Road to Emmaus, By This Name or All that the Prophets have Spoken). No assumptions are made of any other exposure to Christianity. *Expected release date is 5th Dec 2018. Orders of other GoodSeed materials that include this book will not ship until stock arrives in our warehouse.